Toronto weather is quite inconsistent and only thing that is consistent about Toronto climate is 'changes'. It tends to be warm and humid in summer, freezing cold in winter, mild and pleasant in spring and fall. So it has something to offer for everybody. On this page you will find brief overview of Toronto weather and climate condition which you may come across during your Toronto visit. So before you settle on your Toronto travel plan, consider the peculiarities of Toronto climate and then make final decision based on climate that best suits you. ...And it can rain any time of the year! I mean any time. Toronto's proximity to Lake Ontario helps Toronto weather to remain warmer in winter and cooler in summer. So climate in Toronto is moderately mild and not as severe as rest of Canada, which you might have thought. What is in Store for You During Each Season? This is one of the most important questions for you, no matter how many days you are planning to stay in Toronto. After all, you want to make those days memorable. Toronto has a humid continental climate and there are four distinct seasons in Toronto. Let's check out each season one by one starting with winter. Winter in Toronto kick starts in late November with some infrequent snowfall and continues till March. Average minimum temperature drops way below the freezing point and frequent wind chill makes it even further severe. Sometimes extreme blizzards mixed with snow and freezing rain make Toronto virtually life less, particularly the months of January and February have a tendency to be really brutal and harsh. However, we have very good snow removal system in place and on most of the occasions we find roads and sidewalks cleared in time. Some mild patches of bright and sunny days with temperatures in the range of 6 °C to 10 °C also help to melt the accumulated snow. 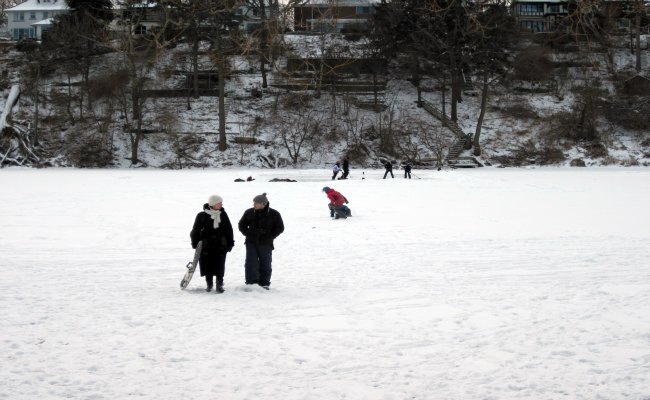 All in all, you will find winter in Toronto very cold and ruthless, however, this Toronto weather conditions make it ideal destination for winter sports and activities like skiing, snowboarding, ice skating, sledding, ice hockey and much more. With beginning in April, spring season witnesses the rise in temperature, though temperatures vary quite drastically from day to day. Some springs get few flurries even in May, but the chances are very rare. During spring Toronto's blossoms begin to bloom, the grass in parks turns lush green and everything comes to life after long, stark winter season. 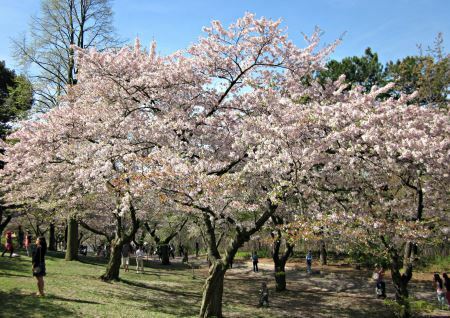 Torontonians hustle to the various parks and gardens to enjoy buds and bulbs. 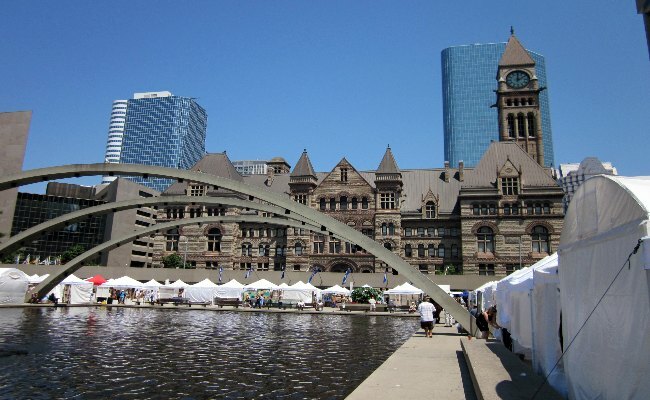 Toronto weather during springtime is quite excellent with average temperature hovering around 12 °C and I am sure you will also acknowledge it once you experience the spring here. In summer, Toronto weather turns fairly hot and warm and sometimes uncomfortably humid and moist. Average summer temperature remains in the range of 20 °C to 25 °C, and sometimes shoots up well above 30 °C. The high temperature coupled with humidity may make you really itchy during these short phases of extreme hot climate. Local people and travelers make best use of the warm and sunny weather, which provides excellent opportunities for outdoor activities and events. 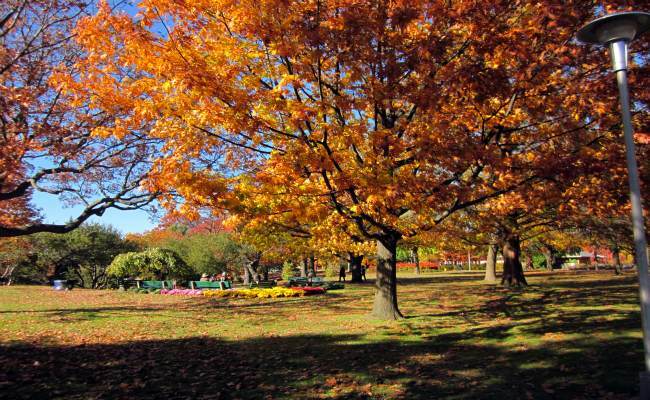 I must say that fall is the most colourful season of the year in Toronto without any hesitation. 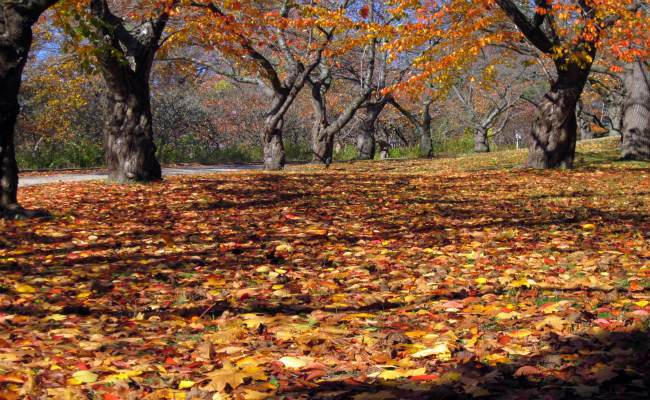 The trees' leaves take an array of colours from crimson red to golden yellow, resulting in gorgeous master piece of nature. A real treat to enjoy! Toronto weather is mostly pleasant during the fall. It has warm, crispy days with gentle breezes and placid nights. The average temperature float around 10 °C and sometimes it drops to very low, specially during nights, reminding us about the coming winter. Precipitation Rainfall is evenly distributed throughout the year. And summer is the wettest season of the year. It's little bit weird. But yes it is meteorological fact. Toronto receives maximum rainfall (80 mm or 3.15 inches) during August and September, while the average yearly precipitation is about 835 mm (33 inches). Toronto weather is pretty unpredictable and it can change drastically in no time. So it's not always feasible to predict accurate weather beyond 3 to 4 days even with the latest technology. Here is a snapshot of current Toronto weather forecast. It also shows Toronto weather forecast for next few days, this is particularly important if you are traveling to Toronto in very near future. I recommend you to check the Toronto weather forecast regularly while you are visiting Toronto. Below table shows monthly statistics for various climate parameters like average high temperatures, average low temperatures, record high temperature, record low temperatures, rainfall, snowfall and precipitation. These numbers will give you precise insight about Toronto weather, specially if you have already decided your travel dates. Interested to know the monthly weather in further details? Check out the month-by-month overview of Toronto weather, statistical climate data with interesting snapshots. You will also find useful tips on what to pack and what to do for that specific month. Weather in January - Snow, snow and more snow!